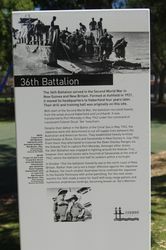 The park commemorates the 36th Infantry Battalion which served in World War Two. 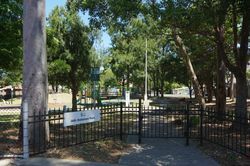 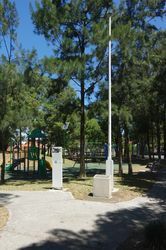 This park was formally dedicated to those who served in the 36th Australian Infantry Battalion during World War II by the Mayor of the Municipality of Leichhardt Alderman J.W. 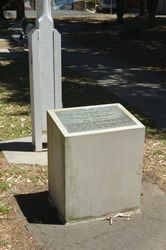 "Bill" Brady on Saturday 12 October 1985. 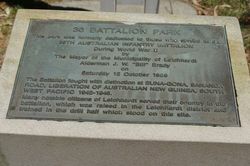 The battalion fought with distinction at Buna-Gona, Sananda Road, Liberation of Australian New Guinea , South West Pacific 1942 – 1945. Many notable citizens of Leichhardt served their country in the battalion, which was raised in the Leichhardt District and trained in the Drill Hall which stood on this site.